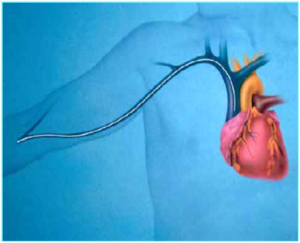 PICC (Peripherally Inserted Central Catheters): PICC are medium/long term venous systems, projected for both continuous and discontinuous use, both intra-and extra-hospital, for a period of time that goes from 7 days to 12 months, made with high the superior vena cava and the right atrium. Biocompatibility materials, with a calibre that generally is between 3 and 6 French (Fr), which can be inserted in adult patient – through the cannulation of a peripheral vein in the upper limb. What are the advantages of a PICC than a traditional CVC? It can be used in both intra-hospital and non-hospital area (day hospital, home, hospice). Thanks to the barium sulfate present in the catheter, the PICC-CATH line ensures high visibility for radiology and fluoroscopy. Catheter in polyurethane with high compatibility, measured in centimetres over the whole length by dots positioned at 1cm distance and number markings every 5 cm. 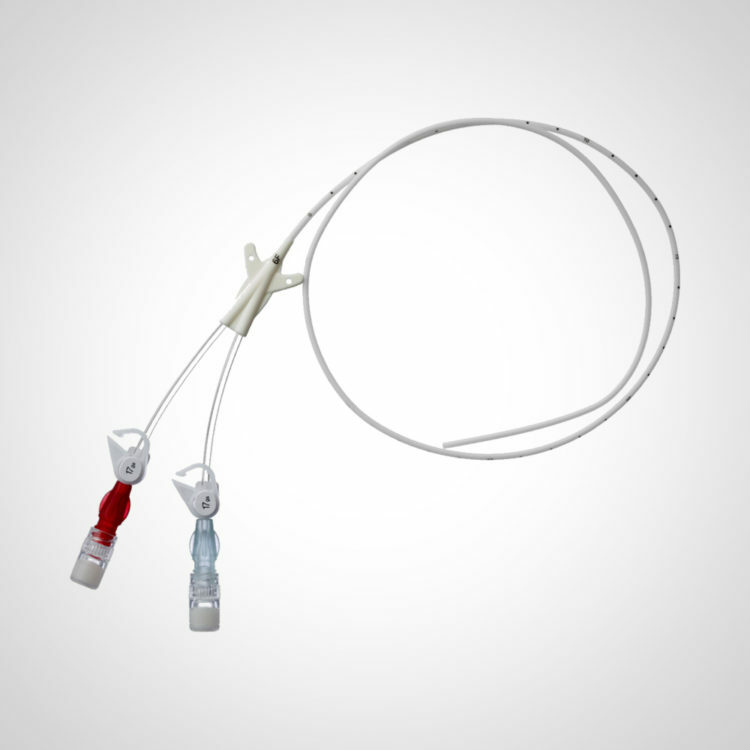 The Venax PICC is equipped with a soft and flat Hub designed for the maximum comfort of the patient. It can be fixed with both suture and sutureless system. The section of the lumens of PICC–CATH is always indicated on the closing clamps. Kit contents: Catheter – Valve for needless access – Introducer Needle – Peel away introducer – Guide wire in nitilon 0,018” (0,46mm) x 70cm – Scalpel – Meter in paper – Syringe 5ml – Disposable sutureless – Transparent film dressing. 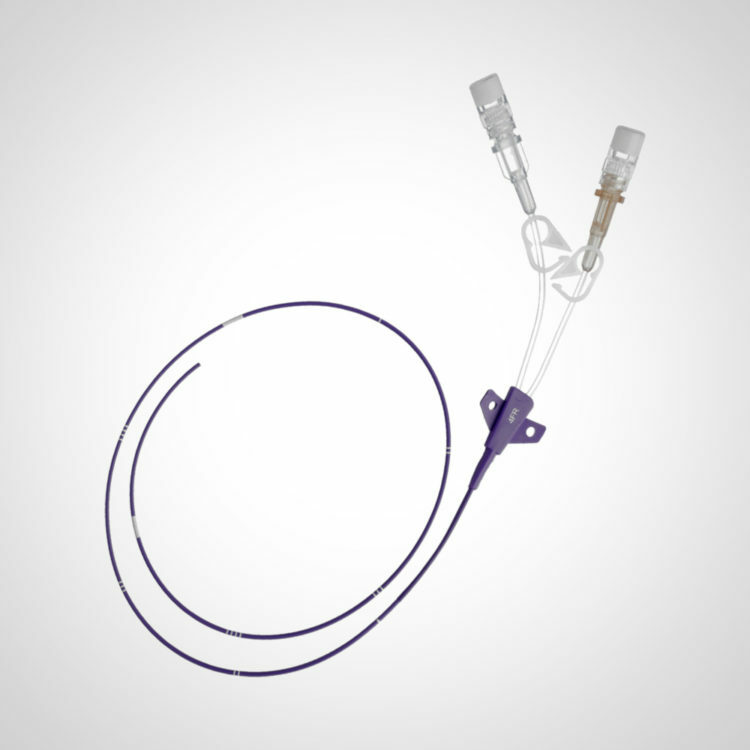 PICC-CATH HP is a peripheral catheter with high biocompatibility, recommended for infusion therapies and for the injection of means of contrast, measured in centimetres over the whole length and with numerical markings. It is equipped with a soft and flat Hub designed for the maximum comfort of the patient. It can be fixed with both sutures and sutureless system. 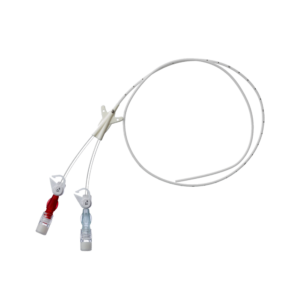 Unlike ordinary PICC, where infusion takes place at a maximum pressure of 45 PSI, the PICC-CATH HP can infuse viscous fluids with a flow rate of 5cc/s at a maximum pressure of 300PSI. To differentiate it from normal PICC, the PICC-CATH HP has a purple livery. 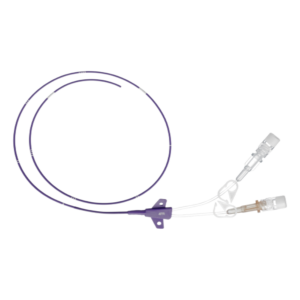 The calibre of PICC-CATH HP is between 2 and 6 French and it has a number of lumens up to 3, which section is clearly indicated on the closing clamps.